The Little Green Wonder PCB is currently in stock. Orders placed now will normally ship same or next business day. Premium quality classic blues/rock pedal that works very well with complex overdriven amp sound. This pedals is now offered as lower priced pcb-model or hand wired pedal. Both share the same specs and tone. It's a low compression, high headroom overdrive with high output, and it has a Body knob for adjusting low-mid content and treble. 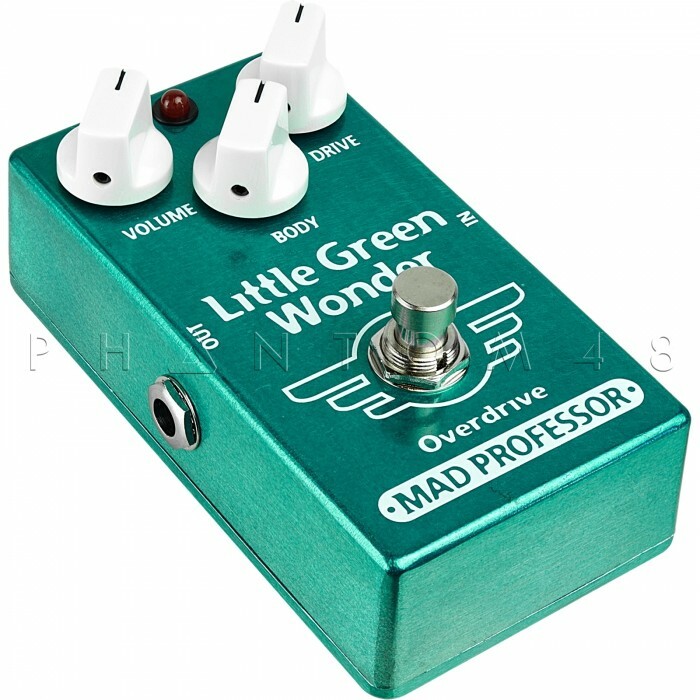 The LGW was made to be a stackable overdrive that could go anywhere in the pedal chain and the compression normally associated with this type of circuit is produced, similar to using several gain stages. 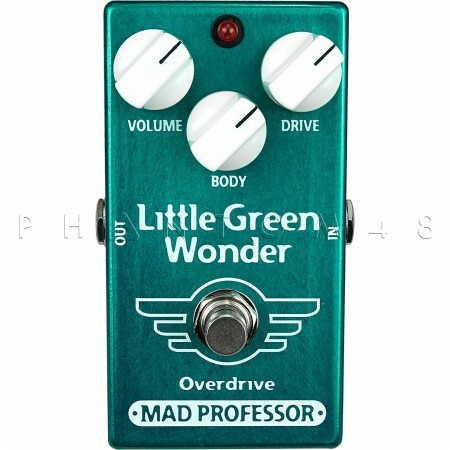 This pedal works very well with amps and other pedals that have a lot of complexity or compression, a situation in which not all pedals work well. 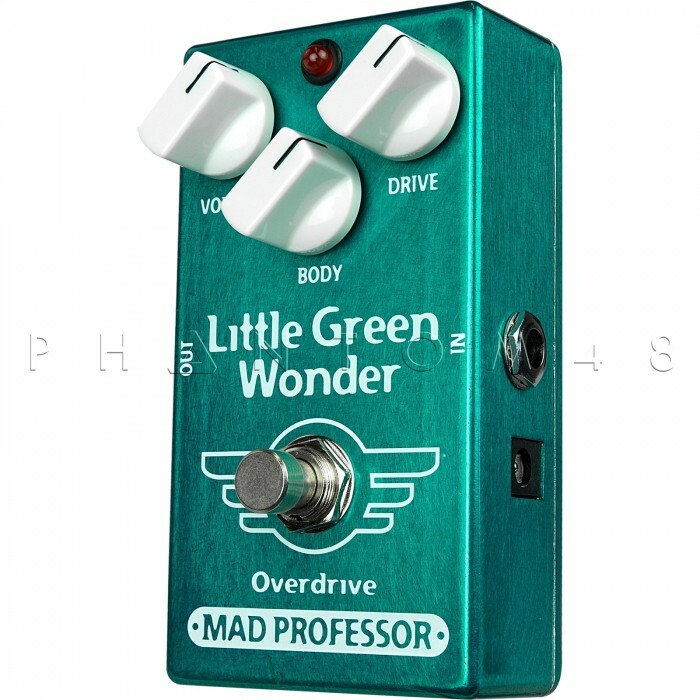 LGW makes a great building block to sound yet it works standalone; especially with humbuckers.